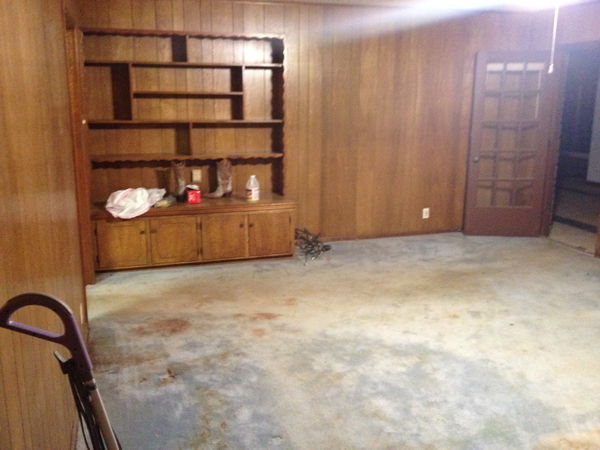 Yes, that is a disgusting stain on the carpet. I made sure no one was murdered in this home before buying. As I begin typing this blog post and looking back through all of my picture files on my computer and cell phone, I can hardly believe what all we have done in the short amount of time we have lived in this Dirty Diamond. At times, it feels like we have been here F.O.R.E.V.E.R! But we were reminded that it was just this past weekend we had moved from our first home exactly one year ago. We of course didn’t have this Lake House, Fixer Upper even on our radar at that time. I was still looking for my 5-10 acres, Anne of Green Gables homestead. It wasn’t until the end of February we closed on this Dirty Diamond and we literally hit the filthy/smelly, floor running. We had so much energy and passion to get this place into shipshape. 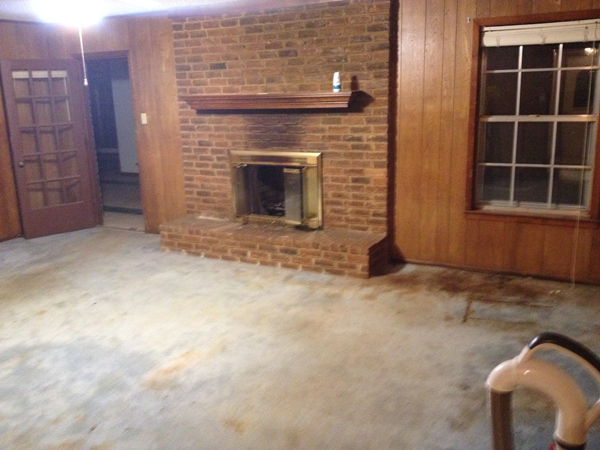 One thing is for sure, it is a lot quicker to do demolition than to restore and rebuild. We knew it would be a tough job. We knew it might be uncomfortable. But, we did it and we have learned so much. And I don’t regret it. We are getting so close to having the living room finished. I’m actually sitting in the living room right NOW typing this post because this room is just so warm and inviting and I actually WANT to be in here! We’ve come a LONG way baby!! Here’s the plan. For the next several days I will post a blog with small reveals just to show the progress. So be sure to check back and see what each “DAY” holds and see where we started and how far we have come. 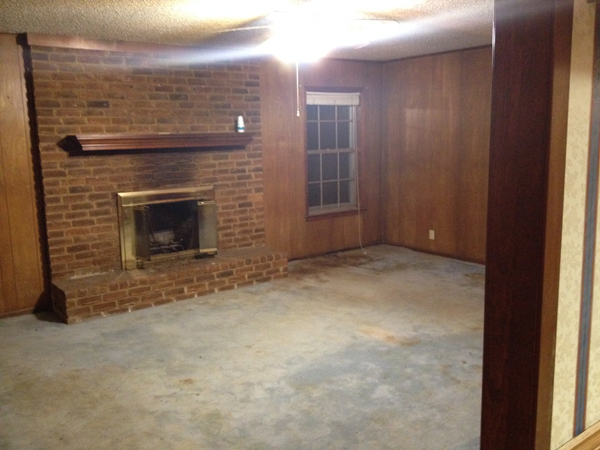 The reality of this fixer upper is that fixer uppers don’t really take 30 minutes to see MAGIC. I’m sure with BIG crews and professionals at your fingertips this home renovation may take a couple of weeks. But for normal families like ours, who are living, breathing, sleeping, eating, homeschooling, and working full time jobs while fixing up a fixer upper…you can expect several months. Here was our first step that we took. When we walked in through that door with our new keys in our hands, we realized that the smell had to GO!!! 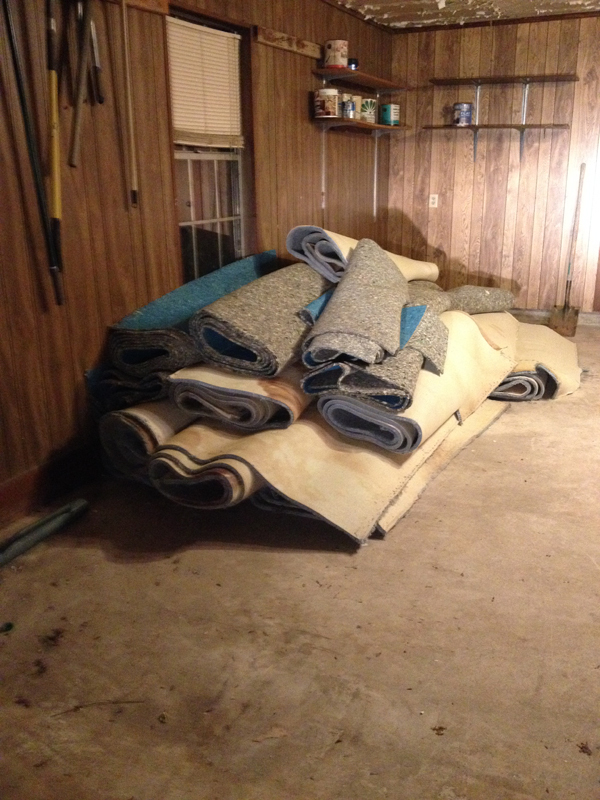 So that carpet HAD to come up and out! Already looks better! But that popcorn ceiling! And that fan!! And that paneling! So that is all for today. I hope you will follow the next few days. 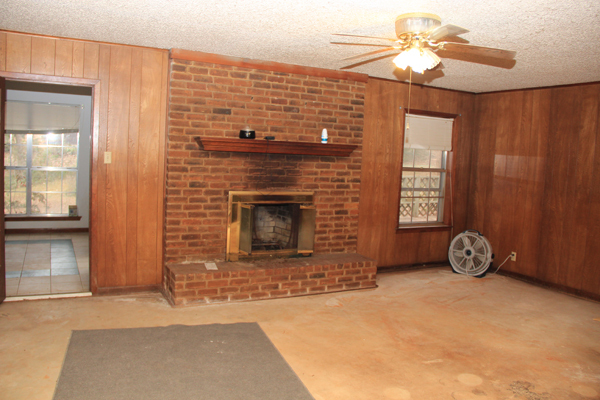 My goal is to take a picture of my new and improved lake house, living room with a lovely Christmas tree in that corner where the window is. 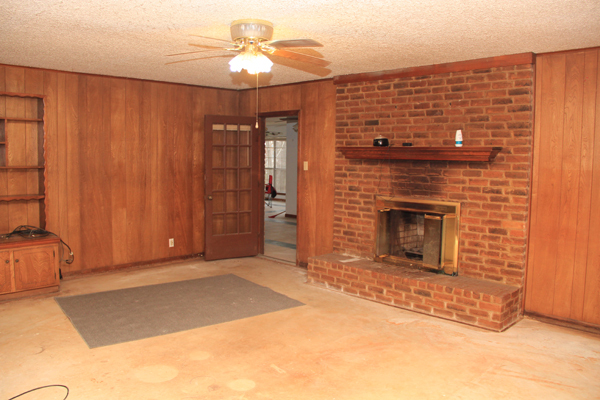 We have plans to install the wood floors this weekend. No telling how long that will take. I just want to make this house a home where we can enjoy one another and enjoy this special holiday as a family recalling all of the hard work over the past year on this Dirty Diamond…soon to be sparkling Diamond. I can’t wait for the reveal! You are an amazing team! I love being part of it – from my couch (and not having to do any of the work) – thank you for sharing with us! I can’t wait for the reveal! Thank you for taking us along for the journey!! I always read! I can’t wait to see the progress. I know you are so proud of it. I could never take on anything like that. You are an amazing woman and an even better wife and mother! You make me that woman, my dear! I love you!! I can’t wait to see the final reveal! Thanks Trisha!! I’m so glad to know you are following our progress! I can’t wait for the reveal! Thanks Tender!! I can’t wait to reveal it! !